KAOHSIUNG, Taiwan—Shen Yun has arrived in Taiwan for the final leg of its Asia tour that began in January. And on April 3, the New York-based company graced the stage at the Chih-The Hall of the Kaohsiung Cultural Center to a sold-out audience. Among those in the audience was Wu Hung-chang, an opera singer who once studied at Italy’s Accademia Musicale Di Pescara under the tutelage of baritone Aldo Protti. Wu is now the conductor of Kaohsiung-based opera company Taiwan Opera. “I am so touched. 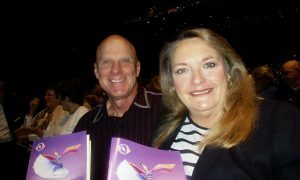 This year marked the 13th time that I have seen [Shen Yun] since 2007,” Wu said. He elaborated that he only had to foot a small amount of money paying for the ticket, but what he got to see was the best performance in the world. Shen Yun is a classical Chinese dance and music company founded in New York in 2006. And every year since, the company has toured the world with an entirely new production—including all new choreography, music, and costumes. The backdrop that Wu referred to is Shen Yun’s one-of-a-kind digital backdrop, which complements the performance on stage while bringing the audience on a visual tour of China’s geography, society, regions, and dynasties. According to Shen Yun’s website, the technology behind the backdrop is patented. “The vocalists put their life into their performance. And while seeing the erhu solo performance, I had such a powerful feeling as if my heart and the performer’s heart beat as one,” Wu said. 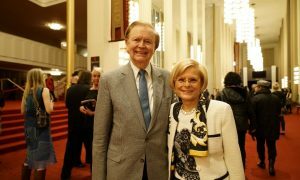 Shen Yun is reviving an age-old tradition—the singing technique of bel canto—which at its true form is lost in both the East and the West, according to Shen Yun’s website. Meanwhile, erhu, known for its ability to convey a wide range of emotions, is one of the Chinese instruments showcased during the performance. 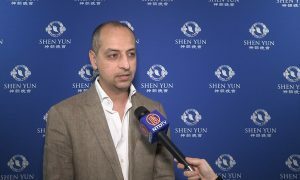 Wu said he wanted to tell Shen Yun conductor Milen Nachev “bravo” for how he had conducted the orchestra that accompanied the dance on stage. He explained how Nachev was precise on every note, and he was successful in interpreting the different musical pieces—neither of each was easy. The focal point of the performance, according to Wu, was the spiritual element of good versus evil. 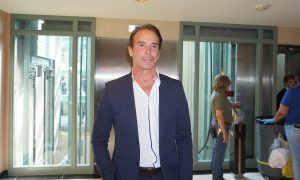 He commented that the story dances that brought out this element were easy to understand, and they made people think. 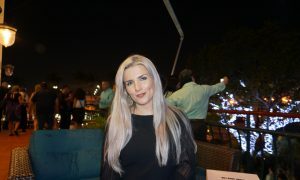 “Life is short, which spans only several decades. What should we do in life? How should we live our lives? How can we improve ourselves? 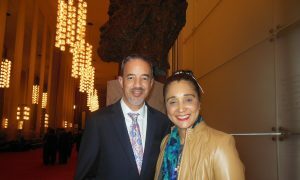 Shen Yun subtly allows people to reflect on these questions,” Wu said. Such reflection is good for children, explained Wu, adding that he believed the performance would be great for parents to take their sons and daughters to. 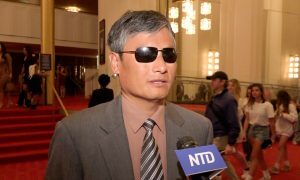 Wu said that as a fan of Shen Yun, he felt proud of Shen Yun’s global tour every year to bring back traditional Chinese culture. He added that he felt it was important for foreigners to learn about this ancient Chinese culture—which includes building designs, costumes, life, and so much more. 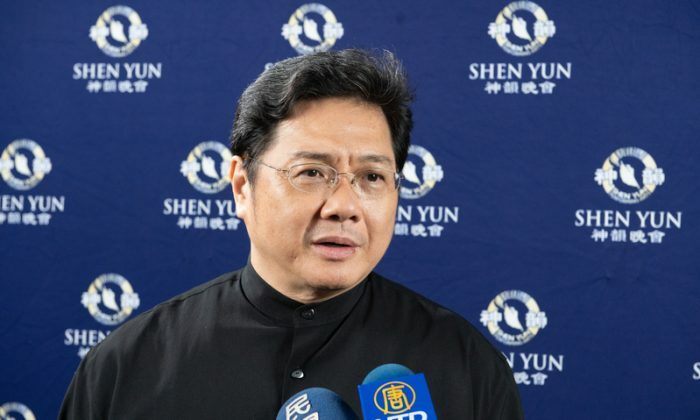 Finally, Wu said he would like to congratulate Shen Yun—a wonderful performance that was the result of “perfect teamwork” between dancers, musicians, and technicians putting up the digital backdrop. In Taiwan, Shen Yun will put on a total of 28 performances in six cities—Kaohsiung, Taipei, Keelung, Taichung, Taoyuan, and Tainan—from now until April 30. With reporting by Frank Fang.